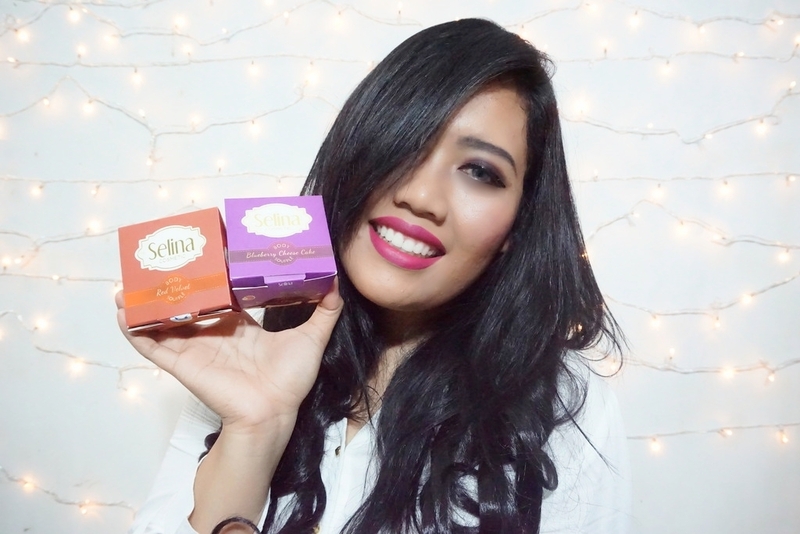 Because the concept and packaging is similliar with my favorite dessert. But actually this is a body souffle that having dessert fragrance. This is blow your mind, because the smelling is so good. 2. 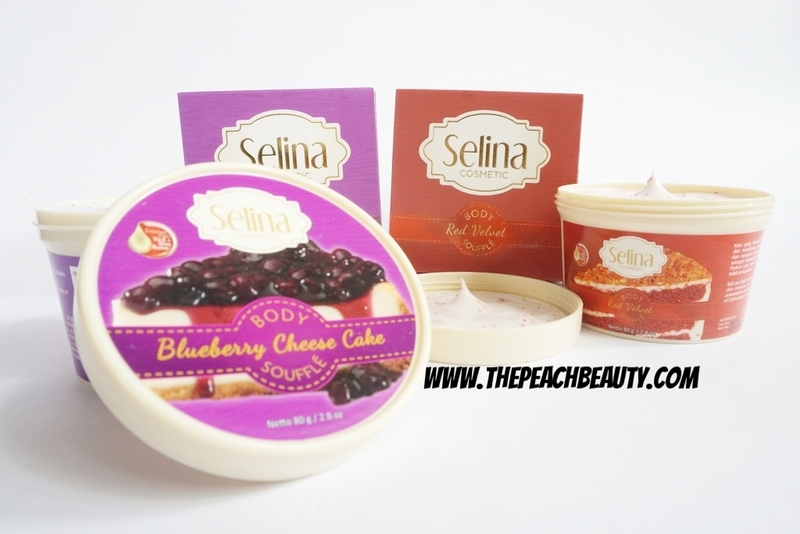 Selina Body Soufflé Cookie & Cream: Fresh fragrance & relaxation sensation from the mint leaf. 3. 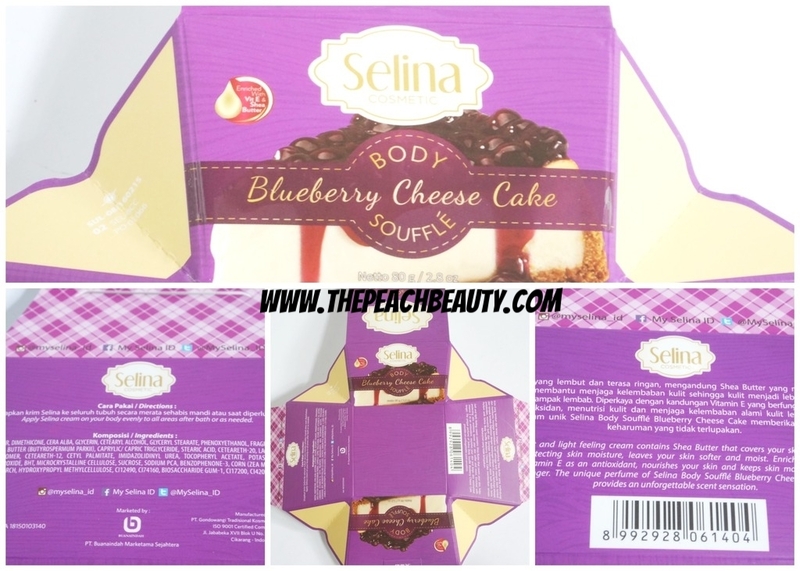 Selina Body Soufflé Blueberry Cheese Cake: Soft and gentle blueberry fragrance mixed with the cheese cake. 4. Selina Body Soufflé Strawberry Cheese Cake: Cheese cake fragrance with strawberry. 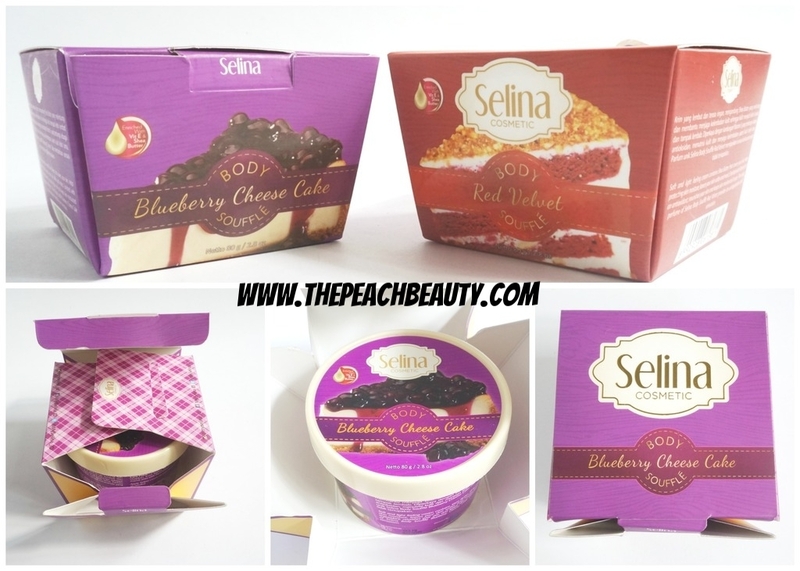 I choose my favorite cake: Red Velvet and Blueberry Cheese Cake! Can't wait to share with you guys about this unique product. 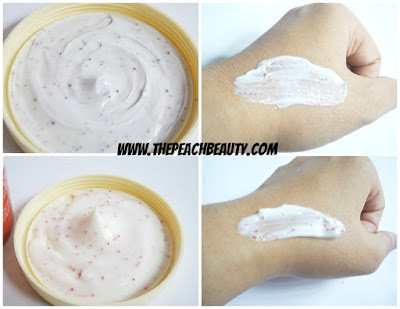 Skin cream is very soft, durable but easy to clean, enriched with vitamin E and Shea Butter that serves as extra moisturizing and protecting the skin from exposure to environmental oxidants. 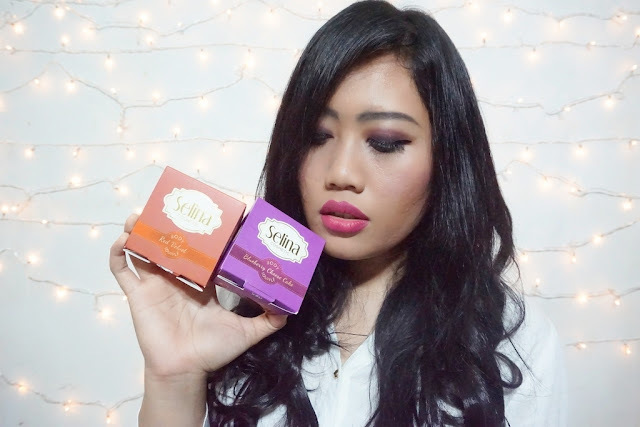 Coupled with Unique Perfume are on a different fragrance and durable is the Unique Selling Point of Selina. Selina itself will come with four unique variants, namely Selina Body Soufflé Red Velvet, Selina Body Soufflé Strawberry Cheese Cake, Selina Blueberry Cheese Soufflé Body and Selina Body Soufflé Cake Cookie & Cream. Selina eventually will develop into Umbrella Brand for Personal Care products aimed at women with a unique concept to the market targeting girls and women aged 20 years and over who tend to be consumptive and less loyal to a brand. 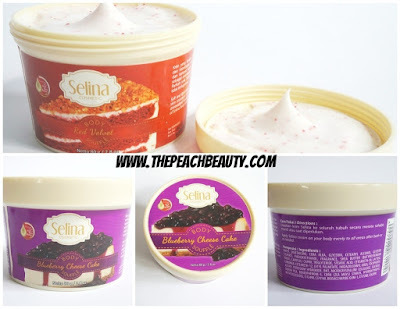 Apply Selina cream on your body evenly to all areas after bath or as needed. 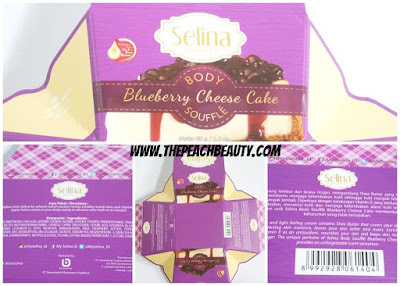 How much does it cost Selina Body Soufflé Red Velvet & Blueberry Cheese Cake? It does cost 85K IDR (Indonesia Rupiah) or USD$ 6 - 7. Where you can purchase Selina Body Soufflé Red Velvet & Blueberry Cheese Cake? bisa langsung pesan di tokopedia aja kok.